Radford University has banned self-balancing electric wheeled boards -- also known as hoverboards -- and their chargers from all campus areas due to safety concerns. The university's Office of Emergency Preparedness and Safety, in consultation with the Risk Advisory Committee, decided to prohibit the devices after receiving guidance from the Virginia State Fire Marshal. 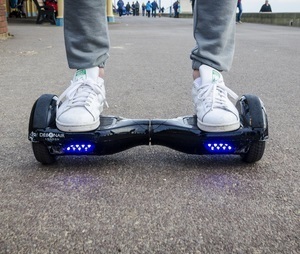 Under the prohibition, hoverboards may not be used on any university grounds. The devices also cannot be stored or charged in any university building operated, including residence halls. The restriction applies to employees, volunteers, visitors and students. Hoverboards and related devices must be removed from campus or they will be confiscated. The university urges students to review the safety information regarding hoverboards on the Consumer Product Safety Commission site at www.cpsc.gov.